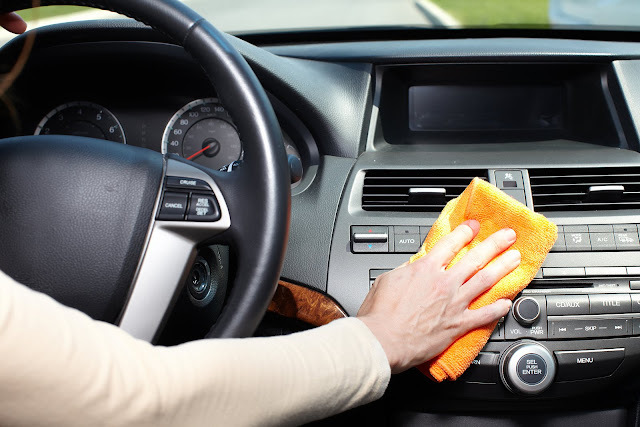 ELIZABETH CITY, N.C. – Keeping your car clean can be a lot easier said than done sometimes. Staying busy with the kids, work, and any other routine duties take up most of our time. Keeping your vehicle clean though, will help avoid interior wear and tear. At Perry Auto Group we want to help you take the best care of your vehicle, inside and out. We’re going to give you a few cheap and easy hacks that will keep your car clean through all your daily chaos. Tie a shoe organizer onto the back of a seat. This will give you pockets in the back seat where you can put toys, books, and anything else you’d like to store in your car. Wipe down the interior of your car with a coffee filter. Coffee filters are lint-free so they’ll help clear all the dust away that collects on your dash. Use cupcake wrappers in your cup holders. Silicone ones are suggested, but you can also use paper. They’ll catch all the crumbs and dirt that fall in the cup-holders. Collect all your change in an empty gum container. Don’t throw your change in a small compartment in your car. Keep it all in a gum container and you’ll have easy access and it wont make a mess. Use a plastic container for your cleaning products & fluids. A plastic crate, shower caddy, or a regular plastic bin will work for this. Then take all your cleaning products and fluid bottles and arrange them in the container. This way they won’t roll around in your trunk. Keep a plastic bag in the passenger seat for trash. This will keep all your trash in one place and not scattered throughout your car. You can even stick a command hook onto the dash and keep the bag there. Use a foam craft brush to clean your vents. There are different sized brushes that will help you get into vents. The foam will take away all the lint, so you’re air and heat come out nice and clean. Keep an envelope for all of your important documents. Put your registration, insurance, and any other important papers in this envelope and keep it in your glove box. This will help minimize the random papers that are in there. Use a toothbrush to scrub the vinyl in your car. The toothbrush’s bristles will be able to get into the nook and crannies of the texture for a good deep clean. With these tips, keeping your car fresh and clean will be a breeze! If you’re looking for a great family car, come to Perry Auto Group. We have plenty of options to choose from like the 2016 Dodge Grand Caravan, the 2016 Chrysler Town and Country, or the 2016 Chevrolet Suburban. Come in and take a test drive in one today.